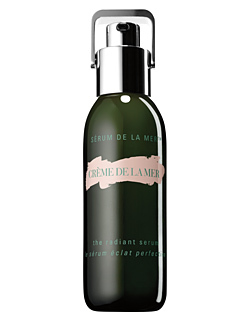 Creme de la Mer launched their Radiant Serum on 1st March, which promises to be a ground breaking new potent treatment designed to illuminate and balance the appearence of skin, awakening its natural ability to reflect and transmit light. I tried a little sample of the serum yesterday, it was nice had a nice scent but nothing different or amazing that deserves a £215 price tag... yes thats right the tiny 30ml sized bottle costs £215! Do you think we pay for the brand name rather than the product?